The Library has been completely refurbished in recent years, and provides students with an attractive and comfortable environment in which to read, research, study and complete school/homework. Fiction: The fiction area provides comfortable seating and beanbags for relaxed book selection, browsing/reading of books, newspapers, magazines. There is a great selection of fiction books to choose from including sections of comic books, graphic novels, manga, quick reads and mid-range reads as well as a wide variety of modern and classic children’s and teenagers’ novels. There is also a selection of up-to-date audio books. This section provides additional fiction for those in Year 10 and above, or for younger students with a permission note from a parent/guardian. The non-fiction area has study tables and space for a class to come and work/research in the library. 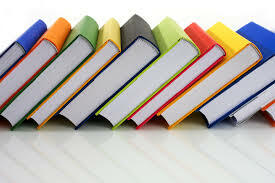 There is a wide selection of up-to-date non-fiction books covering curriculum areas – to help students with school and home work, with wider selections of books on the special research projects done by each year group, plus lots of popular fun books about students’ outside interests and hobbies. Most of the non-fiction books can be borrowed, but there is also a library photocopier to enable students to have a copy of a few relevant pages, or a short chapter of a book to help with their study/research. IT equipment: The Library has 10 up-to-date PCs for use for research and for school/homework. There are also 12 laptops which may be borrowed by older students working independently, or borrowed by a teacher for use with a class of younger students. In addition, there is a data projector and screen in the non-fiction area which can be used for presentations, meetings or film viewing.